On this shorter episode, Matt talks about ghosting the podcast for way too long in order to create the first issue of Inefficiency Magazine. We all are trying to juggle life and sometimes we drop certain aspects. But there is something we gain in the dropping and picking back up that is helpful for us in the long run. Friends and fellow psychotherapists Matt Inman and Jeremy Ezell sit down to have a conversation about wisdom and faithfulness. Jeremy was asked to write a letter to his 14 year old nephew on the two topics and rather than writing a letter decided it would be better to talk it out. Abi Robins brings talks about being present in our bodies long enough to work through pain and get down to the root issues. Matt explores his process of expanding Inefficiency with conversations from friends and family. 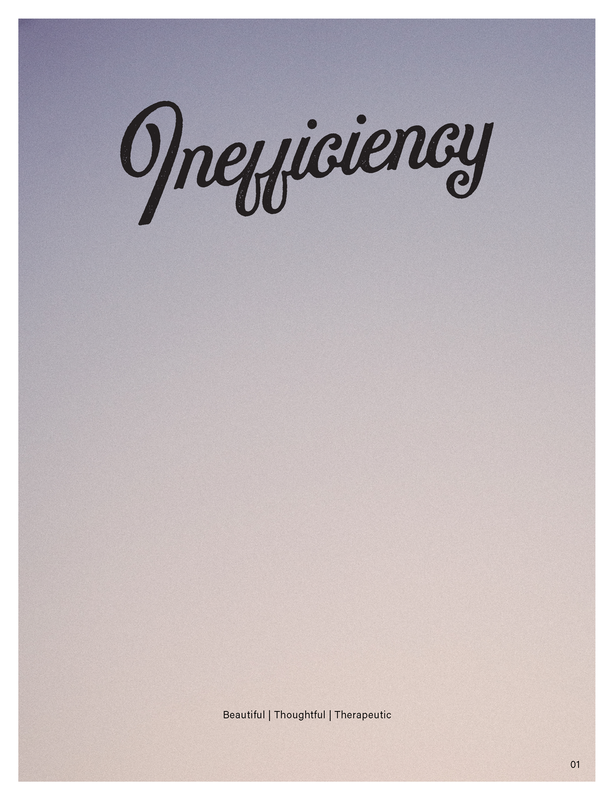 Inefficiency Magazine is a quarterly publication tailored for the therapeutic space made by helpers and artists. If you have listened to Inefficiency for awhile or are trying to hold the tensions of caring for your career convictions and also caring for your family, you will want to check this episode out. Micah Bournes is a spoken word poet, rapper and blues musician. Born and raised in Long Beach, California, Micah grew up heavily influenced by hip hop. He is a brave artist who wrestles with important topics such as racism, sexism and faith. His courage extends to the modes of art itself, unafraid to try new paths in the hopes of finding something new and beautiful. He sat down to talk with Matt about the massive influence the book Art and Fear has had on his life. Micah talks about how quantity is better than quality in some aspects and the necessity of making bad art. Enjoy! Huberta Jackson-Lowman is a psychologist and psychology professor at Florida A&M University. She has degrees from Wichita State University and the University of Pittsburgh. She is currently the President of the Association of Black Psychologists (ABPsi). As she works alongside clients and students, she also forms groups called Emotional Emancipation Circles, groups that exist to help "black people, work together to overcome, heal from, and overturn lies of white superiority and black inferiority: the root cause of devaluing black lives." She joins a rich line of ABPsi presidents and has a great deal of insight and wisdom in a world overwhelmed with noise. 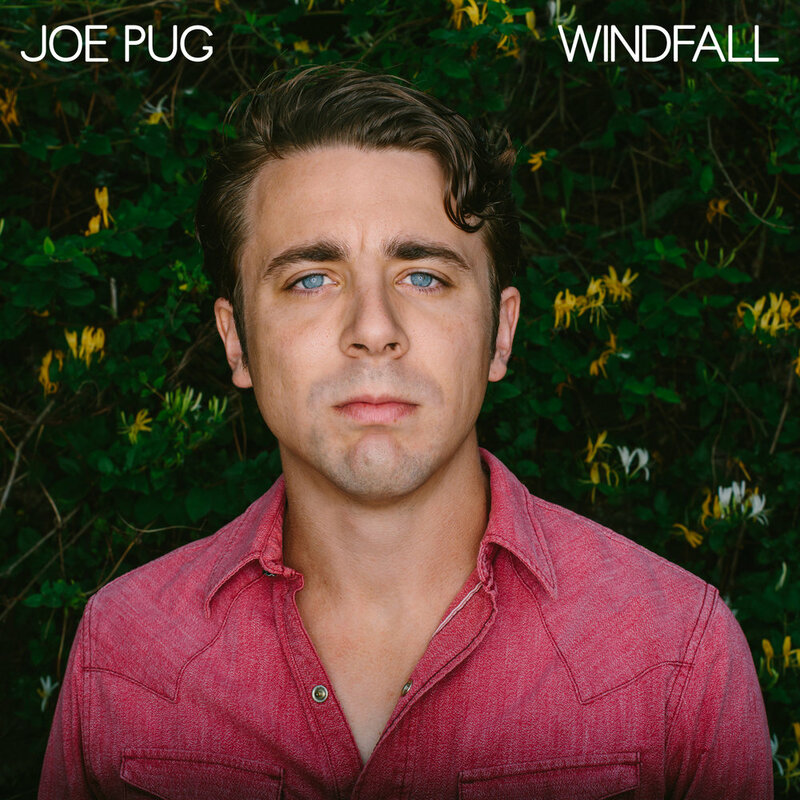 Joe Pug is originally from Maryland and came to Austin, Texas years ago to be in and around the storied Texas songwriting tradition. He has two studio EP’s, most notable being Nation of Heat in 2009. He also has three albums, Messenger in 2010, The Great Despiser in 2012 and Windfall in 2015. Paste Magazine said this of Pug, "In lesser hands, songs of this nature could take on the tone of self-help books, maxims of dubious value. But Pug's honesty and wordplay combine to levitate the songs over those empty, cliched realms." He credits not only musicians like Dillon, Beck and M. Ward as his influences but also literary giants like Fredrick Beekner and Walt Whitman. For the 3rd in a row, Inefficiency is providing a set of thoughtful questions to help you look back at the previous year. But for the rest of us, setting aside some inefficient time to be thoughtful can really give some clarity and motivation for your coming year. Enjoy! 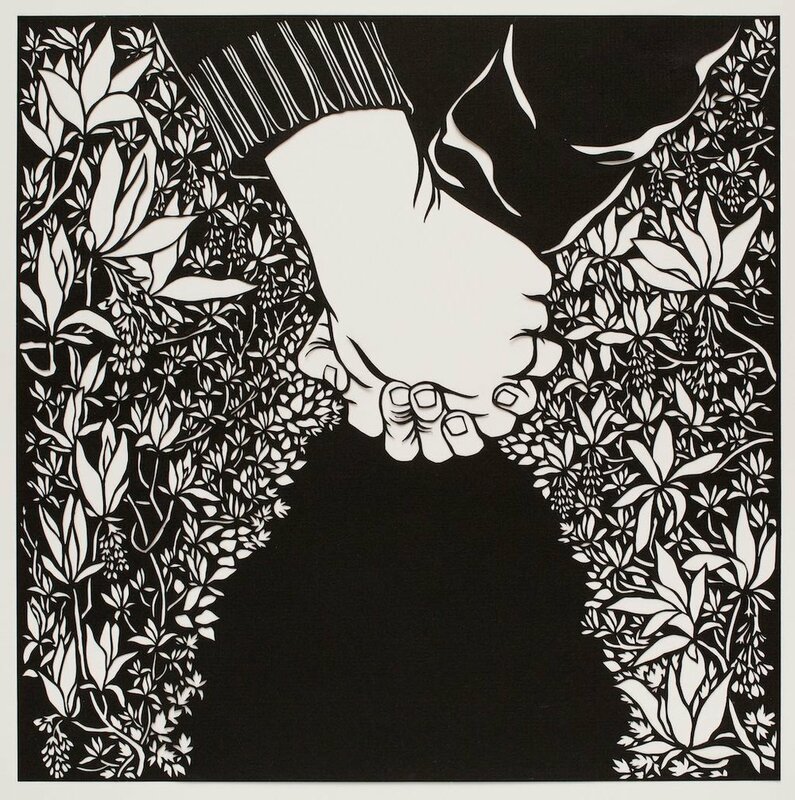 Nikki McClure is an artist who specializes in paper cutting. Her art has a simple but very challenging frame, to sketch an image on a black piece of paper, cut it with an X-Acto knife and make sure it all connects. Each image you see of her work is one single pice of paper! Her artwork invites us to feel something personal and communal. She makes a yearly calendar and children's books. She resides with her family in Olympia, Washington. On this episode, Matt talks about contentment as he travels back to Kansas City, Mo to see family. This shortened episode has a bit of everything, from ideas around contentment to mama guilt to good jokes and even better karaoke. 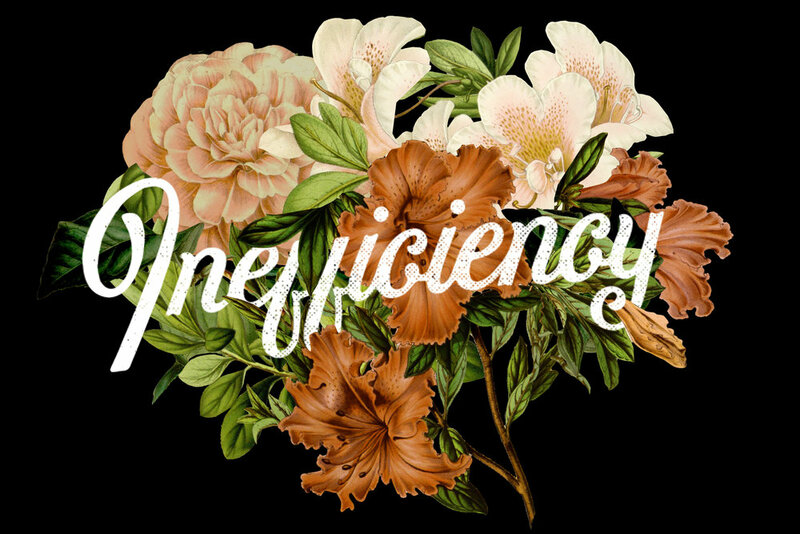 Matt Inman is the host of the Inefficiency Podcast and a psychotherapist in private practice. He and his family reside in Austin, Texas. Andre Henry is a musician, theologian and activist who has pursued music and education in New York City and Los Angeles. His music is electronic anthems with reggae and rock influences and have the overarching message "it doesn't have to be this way." Andre moved into activism after feeling moved by the many police shootings, wanting to get his body more into the struggle against racism. His own deep conviction is to be be a part of some type of truth and reconciliation commission in America so that we can be entirely done with our traditions of racial injustice and live into the beauty and equality of this experiment of a society. James Alison (b. 1959) is a Catholic theologian, priest and author. He has studied, lived and worked all over the world. In addition to being known for bringing Rene Girard's work to the wider public, he is also known for his firm but patient insistence on truthfulness in matters gay as an ordinary part of basic Christianity, and for his pastoral outreach in the same sphere. He has authored many books including Faith Beyond Resentment: Fragments Catholic and Gay, The Joy of Being Wrong, Undergoing God and Jesus the Forgiving Victim. He resides currently in Madrid, Spain and has a speaking schedule that has him in many different corners of the world. Una Mulale is a pediatric doctor in Botswana, working in life and death scenarios each day. She was formerly the Director of Pediatric Critical Care at Woodhull Medical Center in Brooklyn, New York. She recently completed a fellowship at Harvard Medical School in Pediatric Global Health. She is the co-founder of Barona, an organization promoting the value of all human beings and aims to create Botswana’s first Children’s Hospital. John Richmond and Victor Boutros are co-founding directors of The Human Trafficking Institute, an organization set on decimating slavery worldwide by getting at the root, traffickers. Both are former prosecutors of the U.S. Department of Justice Human Trafficking Unit. Their impressive pedigree is only outmatched by their massive hearts, friendship and desire for justice as a means to peace. You may know Sleeping At Last from various Films and TV Shows such as The Twilight Saga: Breaking Dawn- Part 1, The Fault in Our Stars, Grey's Anatomy, So You Think You Can Dance, Criminal Minds, Bones, Believe, Vampire Diaries and many more. He has collaborated or sang with many artists including Jon Foreman, Billy Corgan, Van Dyke Parks, Paul Von Merens, John Goodmanson, Alanis Morissette and many more. Doug Pagitt is the pastor of a faith community in Minneapolis, MN called Solomon's Porch. He is also an author of several books, most recently Flipped, The Provocative Truth That Changes Everything We Know About God. He is also the host of the podcast, Tick, Talk, Take. He is a novice ultra-runner and lives in Edina, MN with his wife. He has 4 young adult children and one grandchild. Two first generation Americans from vastly different backgrounds found love and have done (and are doing) the difficult work of allowing their love to change each other and now, us. Sharifa Stevens is a communicator (writer, speaker and singer) and emphasizes the intersection of culture and theology. Jonathan started a coffee business off of a Ural Motorcycle with a built in espresso machine. He is a natural connector, teacher and builder. Together the two live in Dallas, Texas with their two children. Brian D. McLaren is an author, speaker, activist, and public theologian. A former college English teacher and pastor, he is a passionate advocate for "a new kind of Christianity" - just, generous, and working with people of all faiths for the common good. Brian has served on a number of boards, including Emergent Villiage, Sojourners, International Teams and, The Seattle School, and his a founding member of Red Letter Christians. He has appeared on All Things Considered, Larry King Live, Nightline and On Being. Brian's work has been covered by other news outlets such as Time, The Washington Post, Huffington Post and Christianity Today. Brian resides in Florida with his wife Grace. He has four grown children and five grandchildren. Kristen is a friend of the podcast, on a journey of articulating her identity, and doing so through the medium of her hair. Up until 2 years ago, she had always chemically straightened her hair, and has recently gone through the (long) process of growing out her natural curls. This inefficient process has allowed her to connect w her self and feel a greater sense of connection to her roots! (No pun intended although Kristen loves bad puns.) She lives in Austin, TX w her husband who has cheered her on, inspired her, and held her up in this rough period of hair growth and personal growth. If you see her around town, do not use the word "cool" to describe her hair.